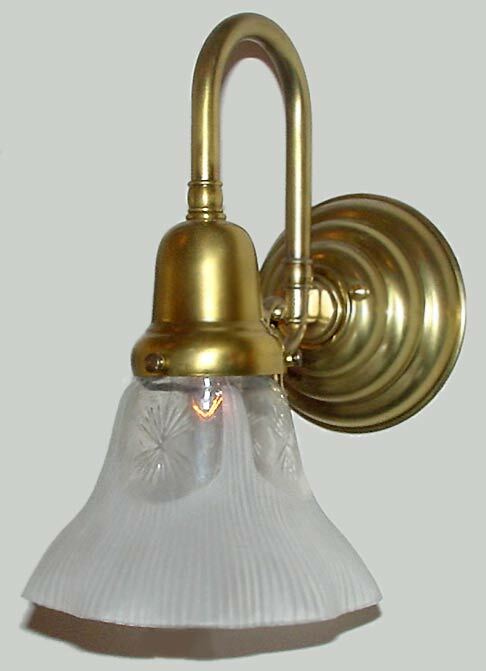 This Colonial downlight can easily be turned into an uplight by simply mounting it in whatever direction you prefer! Shown in satin brass, you can even have one custom built with multiple arms similar to our MODEL NS163. A period accurate 'bell' holder blends well with the 'Beehive' back plate to complete the look. Width 7 In. / Projection 9 In. / Depth 8 In.